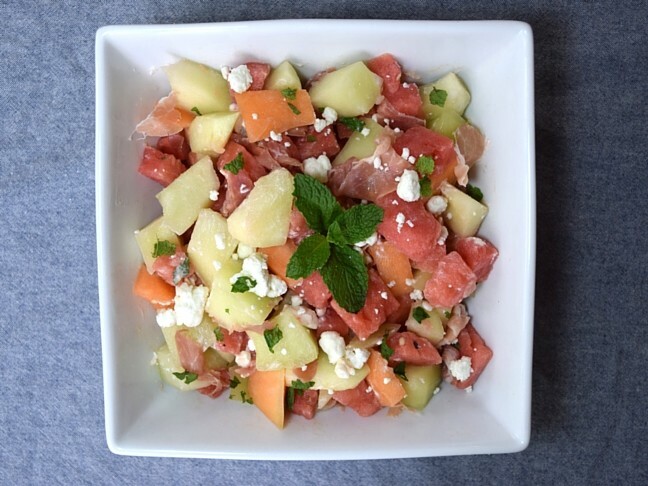 A fresh fruit salad gets an upgrade with this three melon salad with feta recipe. I love to make fruit salad for snacks, special occasions, and travelling. 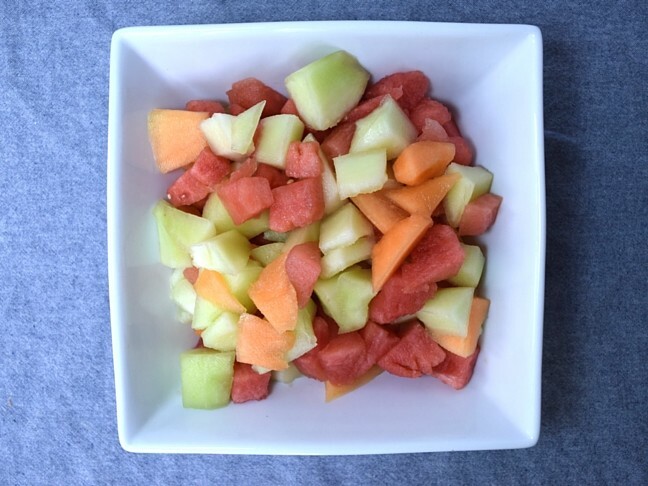 You can literally grab any fruit that you have in your kitchen and turn it into something Instagram-worthy. 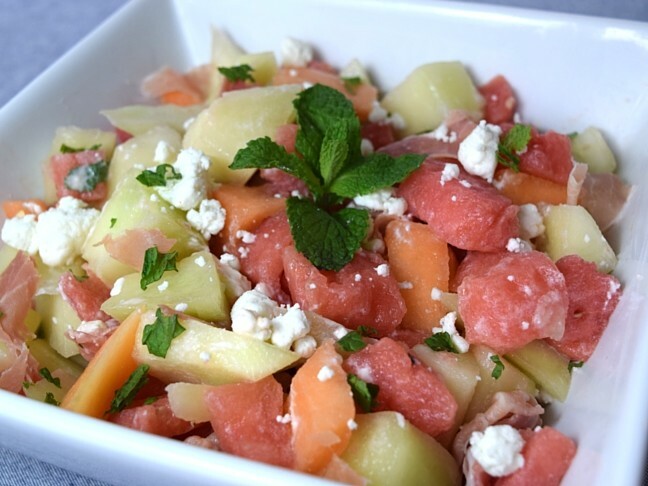 I find that using watermelon in a fresh fruit salad adds a welcomed sweetness and colour to any plate. This salad is both gorgeous and tasty, and just about the perfect thing to accompany anything you throw on the grill.